He has said repeatedly that they had to make tough choices to balance the budget. He and legislative Republicans did have to make choices. 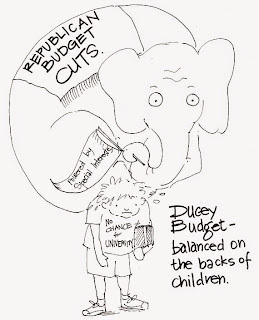 They chose to rush the budget process, and they chose to try to balance the budget on the backs of Arizona’s school kids. Those were the wrong choices, and they had other options. Instead of slashing education and social safety net programs, Republicans could have stopped special interest tax credits and closed tax loopholes that cost the state hundreds of millions of dollars. If they had done that, they could have invested more in education, which is the real solution for economic recovery. Research shows a positive relationship between education and economic opportunities . Education is the best way to build a foundation for economic success. Arguably, the state’s budget is not actually structurally balanced. The Joint Legislative Budget Committee (JLBC) reported that a law the governor signed after the budget will leave the state’s budget structurally imbalanced for years. The Legislature also passed several other bills after the budget was signed that will affect the General Fund. Moody’s report also listed the state’s ongoing K-12 inflation funding litigation as a potential challenge. The Republicans included $74 million for this obligation in the budget but a judge ruled the state owes the schools more than $300 million. This would impact the state’s reserves. And Arizona’s economic recovery is in a precarious position – because Republican leadership refuses to invest in education. A recent report indicates that Arizona dropped to 41st in the nation for per capita personal income – with no indication that will change soon. Any real economic recovery plan must include a substantial investment in education. 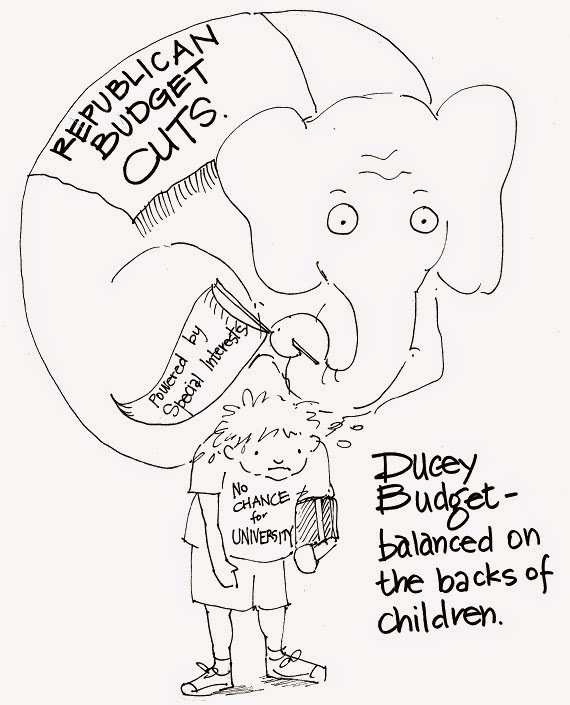 The Republicans’ most recent budget cuts $115 million from higher education and $117 million from K-12 education. Arizona’s economic future will remain in jeopardy until funding education becomes a priority for the Republicans. So while the news from Moody’s is positive, it comes with a number of caveats. When the Republicans attempted to balance the budget by sacrificing support for education, they set the state up for future failure. Those who are touting this as proof of “The Great Recovery” may want to put the party hats away… at least for right now. There is still a lot of work to do. To learn how to get involved to make education a priority at the Legislature, click here.